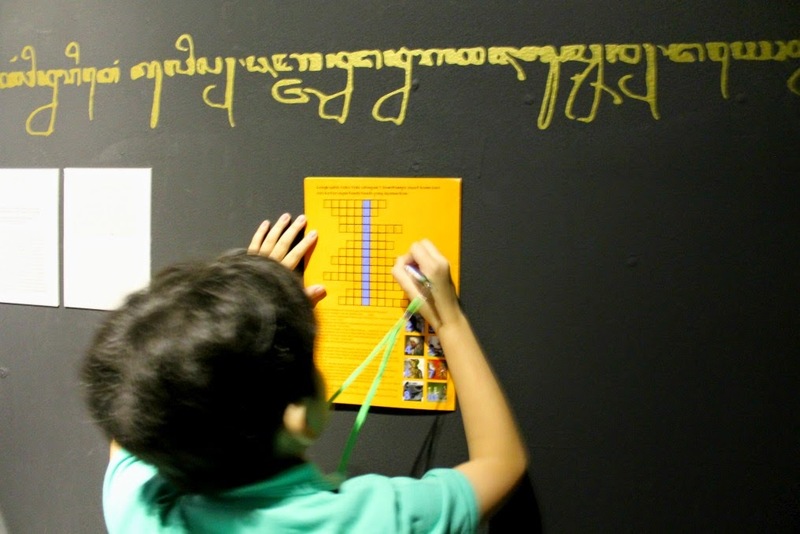 If you haven’t been to a Museum Ceria event, you probably should. 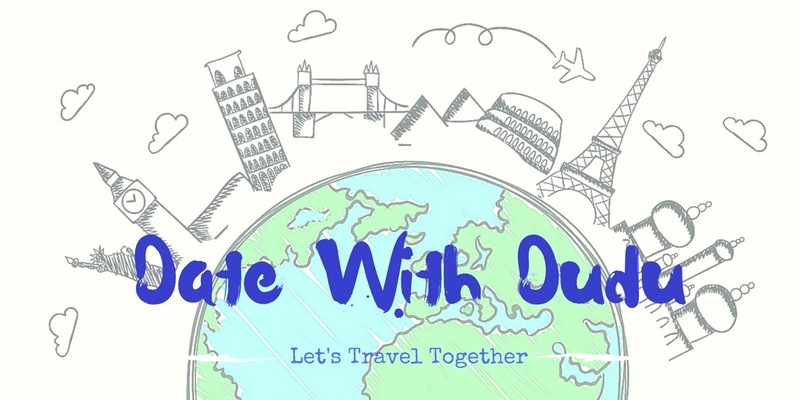 We’ve gone twice on the past three months and each event is equally educational and fun! 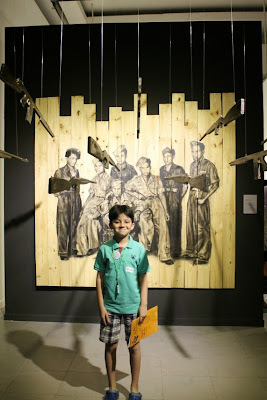 This time, we visited the temporary “Aku Diponegoro” exhibition at National Gallery, finding clues and learning how to behave in a traditional museum. 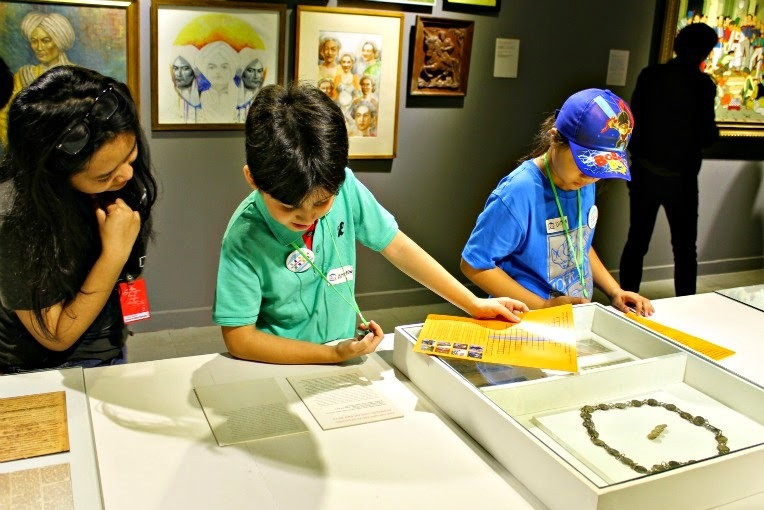 Aimed at kids aged 5 to 12, Museum Ceria brings another fun craft, detective game and storytelling to “Aku Diponegoro,” an exhibition held from February 6 to March 8 at the National Gallery. The Special Family Weekend is free of charge and was held four times over two days. We signed up for the one on the morning of March 1st. We were 20 minutes late to the events because of unexpected traffic on Car Free Day and missed the first arts and crafts session. But we still can do something from each station, which is quite nice because there were less kids on each corner. The art and crafts session was followed by storytelling. 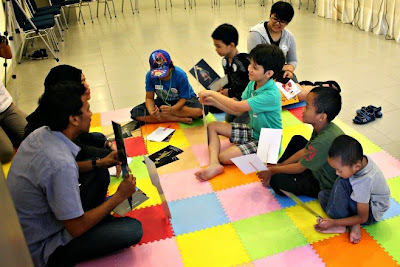 A great way to introduce Indonesia national heroes to Dudu who’s currently an international school student. 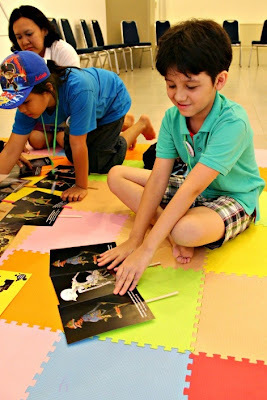 At his age, he wouldn't be interested in a barefooted local prince with keris who fought the Holland army back when there were no air conditioner. At one point of the storytelling, he stated that the Prince didn't want to live in the beautiful palace because his parents haven’t installed AC. 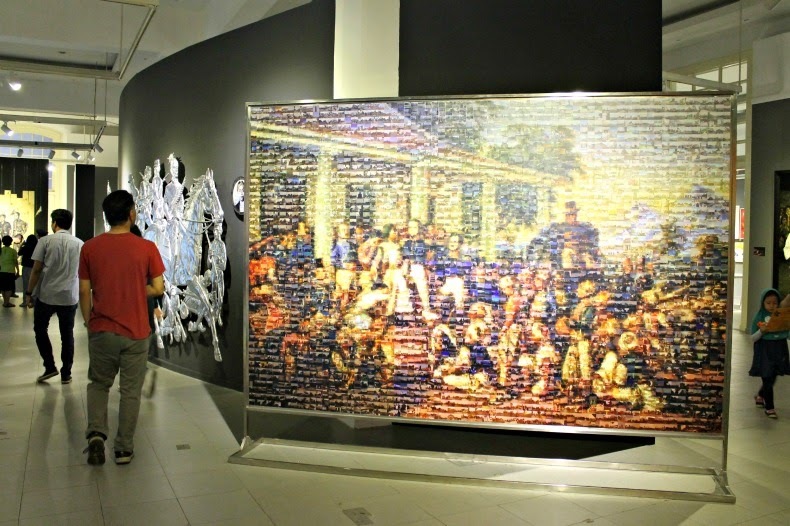 Museum Guide: Who is Pangeran Diponegoro? 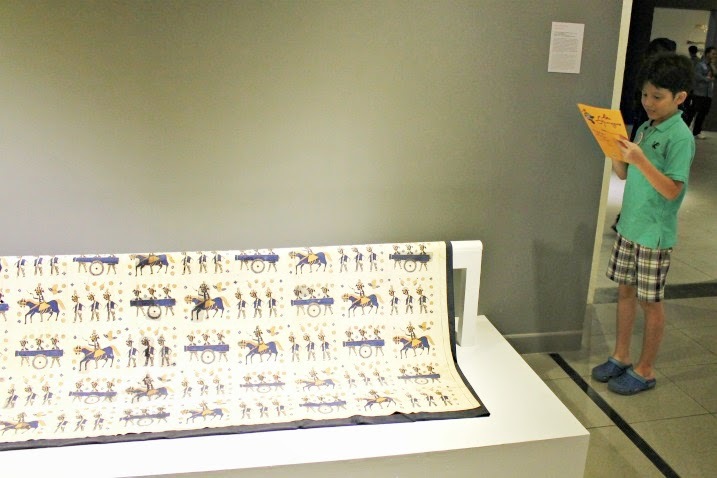 Dudu: This barefooted person… (pointing at the shadow puppet, which actually picture the price wearing no footwear). Dudu: I'm pretty sure it's because the palace doesn't have air conditioner. Kid next to Dudu: So, this prince live in the village? Dudu: The Prince lives in the village so he doesn't turn arrogant. Arrogant isn't good, he will get his punishments..
Dudu: Auntie, why the kite? Isn't there any other cooler games? Does the prince know how to play hide and seek? Kid next to Dudu: He's a prince, why don't he have iPad? 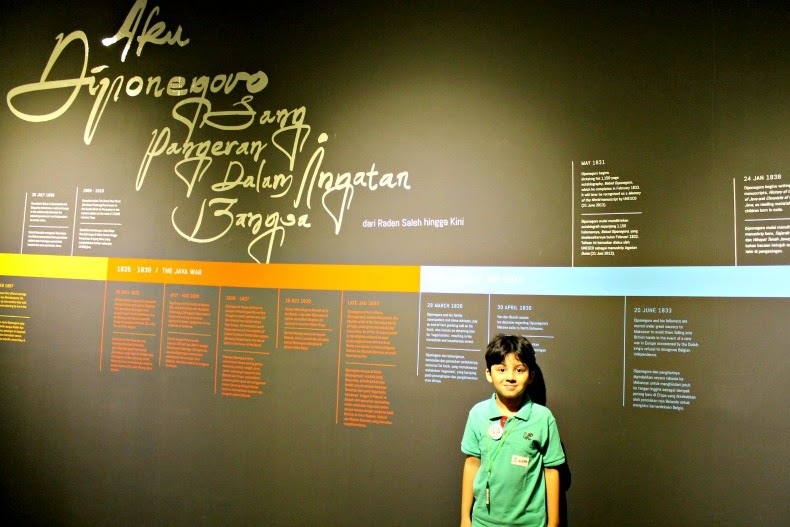 Museum Guide: When they were negotiating, Pangeran Diponegoro was captured by the enemy. Anyway, after storytelling ends (really! 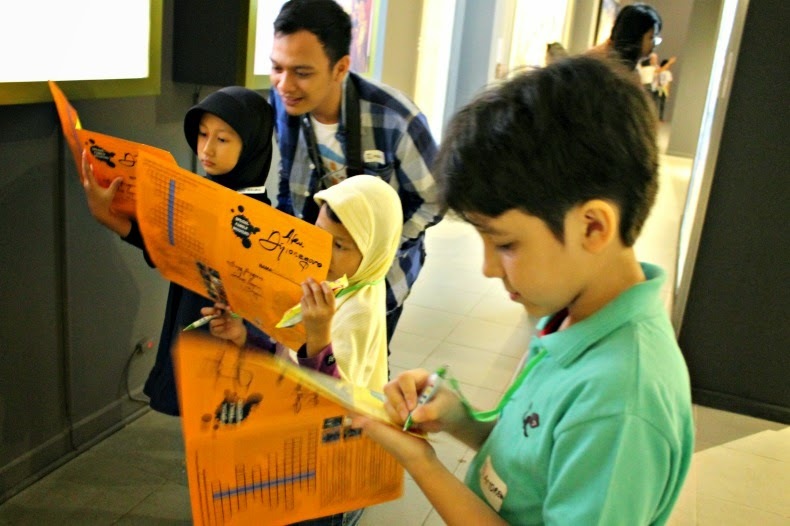 ), the kids are escorted to the main exhibition area to search for clues.The detective game required kids to explore the gallery, reading different stories about different artworks to figure out clues. Once they're done, they got a certificate and are free to go home. It took us about 2 hours to be done with the whole thing. 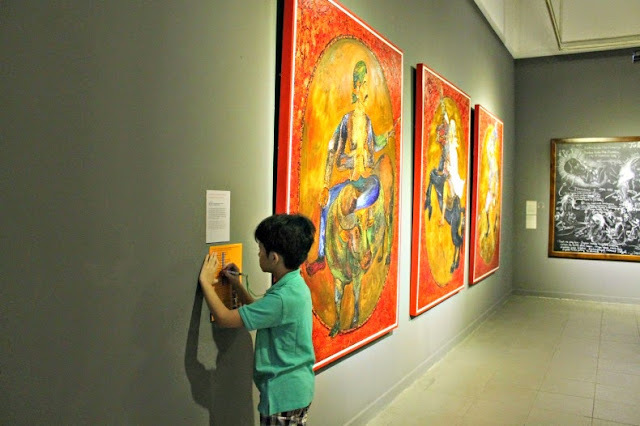 What makes this one interesting is how the kids learn how to behave in adult museums as in not touching the displays as well as learning the values of the artworks. One articular piece cost a fortune and Andrew was shocked to find out about the price. We're told to stand behind the black line and give ways to regular visitors who came to appreciate the art. 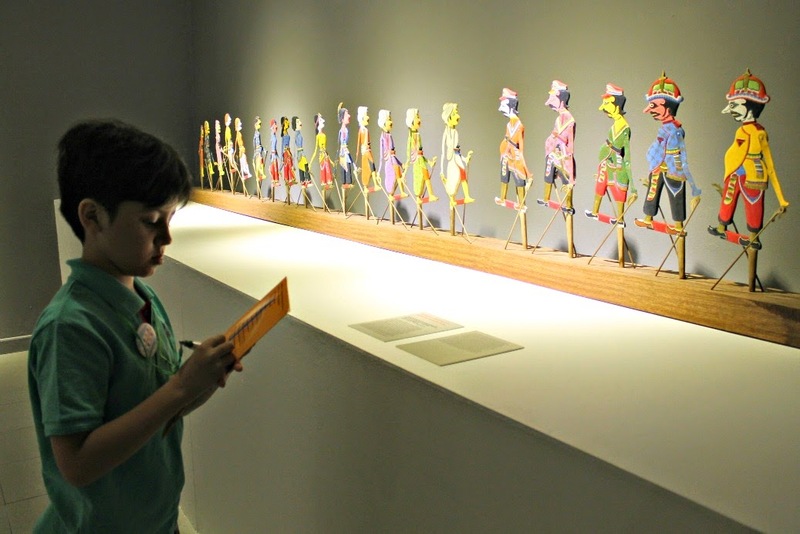 It's also a good chance to introduce different types of arts out there: painting, installation, portraits, shadow puppets, fabrics, even paintings on guitar amplifier. We went home richer in knowledge and manners.